How can #datascience help fight earth warming? Let’s do a data4good meetup in January and tackle the climate change issues and see how the biggest economic and social opportunity of all time could be facilitated by modern datasciences. The subject of the January meetup will be in line with today’s news. In a series of presentations we will see what #datascience experts can bring to the table to work on these devastating issues. Time for action ! Time for you to take actions ! This meetup will be all about your actions, your presentation, your ideas, the floor will be all yours. -> reserve your speaking slot now. We’re pleased to announce two events in collaboration with Rik and Kees from Neo4j. On Monday 25 January we will have a one-day training session on Neo4j fundamentals. 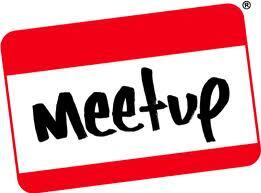 Registration is via Neo4j’s Eventbrite page; details can be found there, or on the Meetup page. On Thursday 18 February there will be an evening where we’ll look into using open data in Neo4j; registration via Neo4j’s Meetup page. Hope to see you on those events! I write this post with great sadness over the unimaginable loss of our friend to cancer. Federico fought a brave and strong battle for over a year but the cancer would not allow him to get better. He took each day in stride, never really complaining, always feeling tired and always hoping that the treatments would succeed so he could get on with his life. This was our hope too. Federico was instrumental to the success of the Brussels Data Science Community: we enjoyed every spirited discussion, lost most of the fights, took many of his comments into account and thanks to his insights were able to build our community into what it is today. We respect that his family wants to keep the memorial ceremony private. We encourage you to write your sentiments in the tribute box below, and/or make a donation. If you want to send a private message to the family you can do it here. If you want to share public message you can use the comment box below. You can choose between a Belgian cancer research fund or the data for good research project we will do in his name in May 2016. Faculty of Sciences, Department of Computer Science. PhD Degree (with doctoral thesis) in Computer Science, Bioinformatics, Computational Biology, Bioengineering, or equivalent qualifications. For non-French speaking natives, a learning period may be granted, but candidates must be capable of teaching in French (level C1 is required) at the end of the third year following their appointment. Candidates are expected to trigger and promote active collaborations within the context of IB2 with molecular, biological and medical research groups at the ULB. They are furthermore expected to lead a high-quality research and teaching program in the specified areas, preferably with a specialization in the analysis of genomic, transcriptomic and/or epigenomic data and the design and deployment of advanced data science (e.g. machine learning, data mining, big data) methods. Significant research and teaching experience, as well as a strong publication record in international journals and/or high impact international conferences are required. The successful candidate will be invited to apply for a grant from the European Research Council (ERC) and for any sources of outside funding (FNRS, Europe, Regional funds, etc…) enabling them to develop their research. The ULB Research Department will assist with applications. As stated by its statutes, the University of Brussels is a non-discriminating institution and all its members are expected to adhere to its fundamental principles. The candidate will take part in teaching activities in the Bachelor and Master programs in Computer Science and the Master in Bioinformatics and Modeling and will participate in the supervision of Master dissertations. The first years she/he will have a reduced teaching charge. After a few years this charge will increase to reach a level comparable to that of her/his colleagues (typically 4 or 5 hours a week for two semesters, plus some supervision of exercise sessions). The ability to strengthen existing research areas at ULB will be considered as an asset, too. The position involves also commitment to administrative tasks. She/ he will furthermore be expected to take an active role in the management and supervision of the research activities in the Interuniversity Institute for Bioinformatics in Brussels (IB2). For any additional information (e.g. concerning courses to be taught or the research carried out in the Department) please see contact details below. All applicants need to hold either a PhD in Computer Science, Bioinformatics, Computational Biology, Bioengineering, or related disciplines. Experience in interdisciplinary collaboration as well as significant research stays in foreign universities or research laboratories are important assets. The first years the applicant will be involved in Master-level courses in Bioinformatics and Computational Biology currently organized in the Master in Computer Science and the Master in Bioinformatics and Modeling. For candidates not fluent in French, a temporary period of teaching in English may be granted for teaching at the Master level. After this period (for up to three years) the position will become permanent, requiring that the applicant will also be able to teach in French at the Bachelor level. 2. Teaching duties may be reviewed periodically and are subject to modification over time. a report of about 3500 signs on the candidate’s previous teaching activities and a project describing their teaching mission during the 5 years following their appointment, that integrates, in a coherent manner, into the vision of the unit in which the candidate will be working and the educational profiles of the programmes on which the candidate will be teaching. please provide full names and email addresses for five referees who may be contacted by the university bodies responsible of evaluating candidate applications. We ask that you be mindful of providing a balanced gender divide between referees and ensure that they have no conflict of interest. Candidates applying for several vacancies are required to send a separate file for each one. Job – Nike – EHQ (Hilversum)- Supply Chain Analytics Manager. NIKE, Inc. does more than outfit the world’s best athletes. It is a place to explore potential, obliterate boundaries and push out the edges of what can be. The company looks for people who can grow, think, dream and create. Its culture thrives by embracing diversity and rewarding imagination. The brand seeks achievers, leaders and visionaries. At Nike, it’s about each person bringing skills and passion to a challenging and constantly evolving game. Nike Supply Chain experts ensure that every year 900 million pieces of footwear, apparel and equipment arrive at the right destination on time. That’s no easy task. The complex process involves more than 50 distribution centers, a network of thousands of accounts, and more than 100,000 retail stores around the world. Supply Chain professionals from Laakdal, Belgium, to São Paulo, Brasil, make it happen. They constantly push for ways to make Nike’s supply chain faster, more efficient and more responsive to Nike’s always-changing consumer needs. As a Supply Chain Analytics Manager, you will gain insights from data and presenting recommendations to senior leaders, leading cross-functional projects, implementing capabilities such as data visualization, predictive analytics, and exception-based analysis, and building an analytics platform across the company. You will collaborate with a team of cross-functional partners and analytics professionals to identify, scope, and execute high-impact analytics projects across the Europe Supply Chain organization. You will develop & communicate actionable insights through problem definition and the application of advanced data modeling techniques. You will also play a pivotal role in elevating analytics throughout the organization and in spearheading initiatives that instill the importance of data driven-decisions. The role is perfect for a team player with strong analytics experience, drive, curiosity, and exceptional communication skills. You know how to rise above the numbers and explain the essential insights to business users and senior leaders, and you instinctively minimize complexity to focus on results. While you rely on data to prove your point, you love to think outside the box and find creative ways around barriers. Demonstrated ability to use data to influence decision making. Last call – this afternoon workshop takes place on Dcember 3rd. Creating more business value from investments in Big Data and Predictive Analytics through better project definition, project management and better usage of Predictive Analytics projects. Managers of analytical teams, Managers of functional departments (marketing, risk, operations, HR,…), Project managers, CxO. Please register using Eventbrite following this link. We are currently looking for a Senior Data Scientist to join our expanding team! Knowing many Data Scientists are visiting your blog, would you please post our job advert which should surely help us to find the right consultant willing to take up the challenges with us! The Keyrus Group is providing major international companies as well as mid-market companies in Belgium with innovative solutions as there are Customer Intimacy, Sales & Marketing Campaign Effectiveness, Behavioural Targeting, Social Analytics, Data Monetization, etc. The strategic challenges for our customers, in the context of digital business transformation, include the multiplication of the communication channels and the changes in customer behaviour associated with an explosion in the amount of information available. These put a burden on Strategy, Marketing & Sales departments. 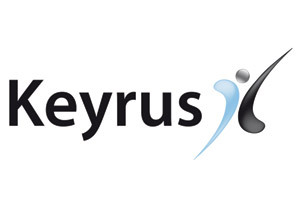 Keyrus is addressing customer’s issues through unique solutions combining business and technology components, relying on Data Scientists and Big Data technologies. As a Data Scientist, you will need a combination of business focus, strong analytical and problem solving skills as well as programming experience to be able to analyse large data sets of information with the appropriate tools and techniques in order to deliver insightful and actionable information in an impactful manner. Your main mission will consist of working with our customers and understanding their business context. This unique role will engage you with the business by addressing strategic and tactical questions through the use of data analytics and data visualization techniques, including pattern detection, graph analysis or statistical analysis. You’ll be challenged to propose innovative ways of addressing problems with alternative options and creative and workable solutions. You will also use the new visualisation tools to present your validated findings in a clear and precise manner to non-technical people. 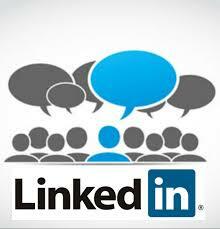 You will be exposed to different sectors and company functions. You will work most of the time at client sites in Belgium, occasional travelling abroad is possible. Follow the link to subscribe to our video channel. Would you mind sharing the invitation with whom it would be of interest? 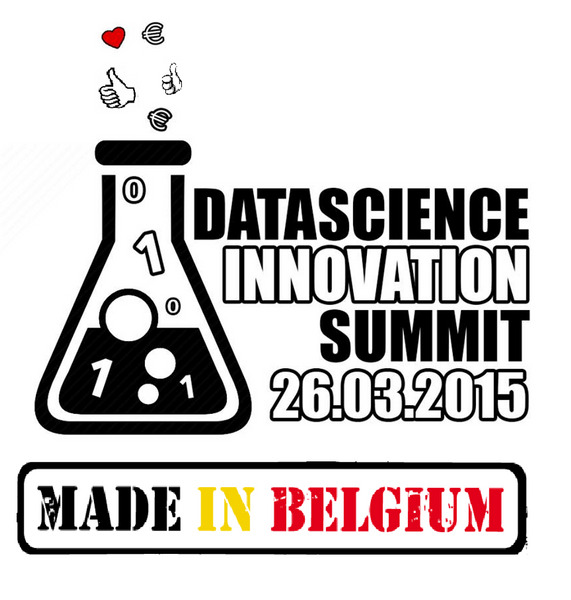 13h35 : Introduction to Big Data by Mateusz Maj.
14h00 : Data science : “State of the art” Professor dr. Bart Baesens an associate professor at KU Leuven, and a guest lecturer at the University of Southampton (United Kingdom). Great Hands-on course. In this one-day Spark Streaming course you will learn setting up your very own Spark Streaming applications, and do real-time data processing and analytics. You will start with setting up the data ingestion from HDFS, Kafka, and even Twitter. In this one-day Spark Streaming course you will learn setting up your very own Spark Streaming applications, and do real-time data processing and analytics. You will start with setting up the data ingestion from HDFS, Kafka, and even Twitter. Next up you will learn about the benefits from using one integrated framework for both batch and streaming processing. You will combine streaming and historical data, in order to create valuable applications. You will learn how fault-tolerance is built into Spark Streaming, and might even get a hint of how to combine it with the Spark MLlib machine learning library. Join us for this hands-on training with SparkR that will be held at the European Data Innovation Hub on November 24th. As of June 2015 SparkR is integrated in Spark-1.4.0. However this is still work in progress: in the original version, no Spark MLlib machine learning algorithms were accessible via R. In Spark-1.5.0 it is already possible to create generalized linear models (glm). In this one-day SparkR course, you will understand how Spark is working under the hood (MapReduce paradigm, lazy evaluation, …) and learn how to use SparkR. You will start setting up a local Spark cluster and access it via R. Next up you will learn basic data transformations in SparkR, either via R code or via SparkSql. Finally we will use SparkR’s glm and compare it to R’s glm and we will implement our own machine learning algorithm.